My SE won't start, it just pops up in the taskbar, and when clicking it nothing happens. It worked just fine yesterday. What could have happened? These two threads are about the same issue everyone affected has problems around planets that should have rivers. Everyone I have seen writing about this problem has an Ati Radeon HD 4800 series gpu. I believe this to be a bug as the game worked perfectly for me before the addition of rivers and still does around non-river ocean planets. Tenkrat, go to /system/shaders and open tg_terra_height.glsl with any text editor. Harbinger, this fixed the issue with fps slowing to a crawl, thank you. However, some planets still appear without any feature, for example titans that look like brown oceanias or terras that are just solid blue oceanias without any features. It is much better now as I can just move on to another planet without the game nearly freezing near these planets. Hello. 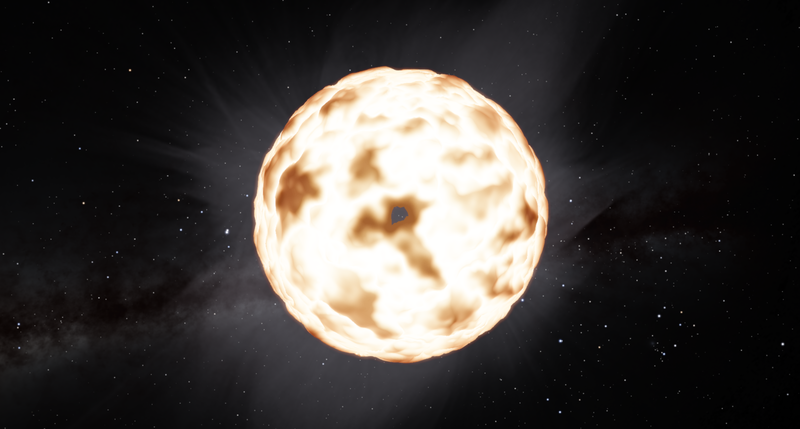 I have blurry textures in space engine. Yes, windows updated, videocard drivers are the newest, directX is the newest. There is no any troubles with Windows. Here is the screen. I tried much of solutions, but it has not helped me. Or is it normal? If yes - how to make for example the textures and graphics like on this video? Did you read this (item 6)? This is also where you should have posted your issue. 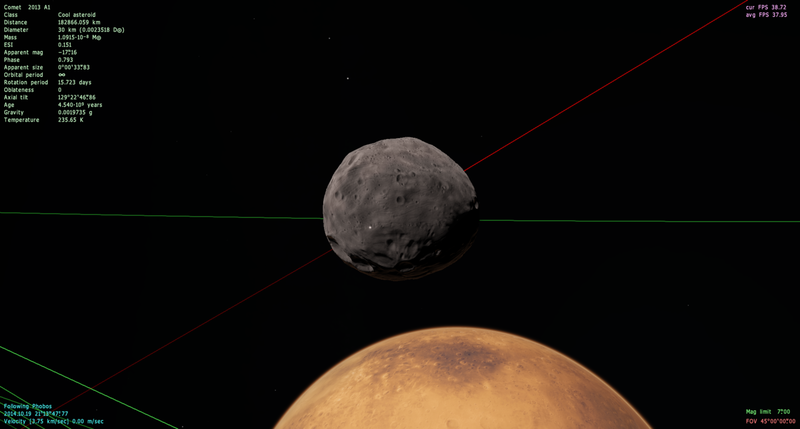 Planets with textures that are defined (for example Earth, Mars, etc.) will follow the texture resolution. So if you have a bad texture resolution, you'll have a blurry planet. 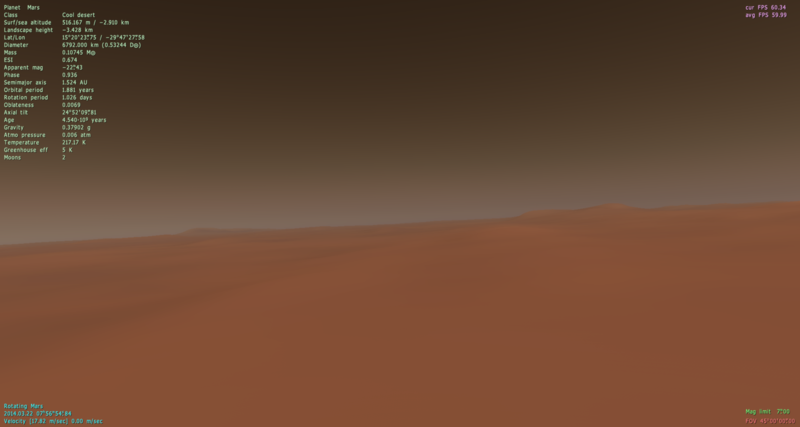 This doesn't work for procedural planets as the texture is created by the Engine at runtime. On the Downloads sections, you have links to download high-resolution textures for Earth, Mars and Mercury. If you explore the Addons forum, you may find high-resolution texture of other planets. Whoever made that galaxy texture did not fade out the edges properly, so the whole texture tile is visible. Planets with textures that are defined (for example Earth, Mars, etc.) will follow the texture resolution. So if you have a bad texture resolution, you'll have a blurry planet. This doesn't work for procedural planets as the texture is created by the Engine at runtime. On the Downloads sections, you have links to download high-resolution textures for Earth, Mars and Mercury. If you explore the Addons forum, you may find high-resolution texture of other planets. EDIT: Ninja'd. The level of detail they provide will still not be anywhere near that of procedural planets. As you can see, it is identical to yours. Everything is working as it should. The level of detail they provide will still not be anywhere near that of procedural planets. This is my view of the same location: http://i.imgur.com/pZwF0zk.png As you can see, it is identical to yours. Everything is working as it should. ok thanks. And where do I find names of planets with these textures like on the video? And where do I find names of planets with these textures like on the video? Just fly to other places. Anywhere in the universe you want, besides our solar system (except for a few moon and small worlds which use procedural surfaces).